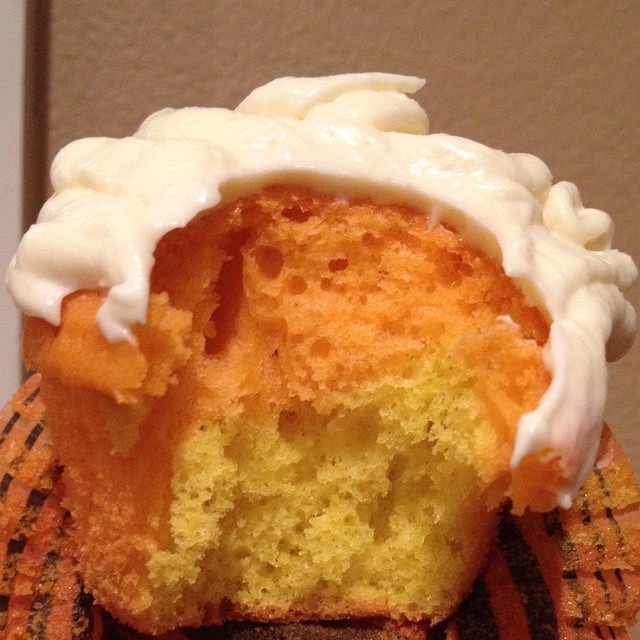 We are not a big fan of candy corn around here BUT we surely do LOVE our candy corn cupcake. To be honest…you can use a plan cake mix and just add the 2 food color and it will still look pretty….but this bam up CAKE MIX batter is so gooooood. I think its the almond extract that makes it taste so good. I love using almond extract in my BOX CAKE MIX. When making the frosting…try to find clear vanilla extract so that the frosting will be white. BLEND cake mix, water, half and half, oil, almond extract and egg whites in a large bowl at low speed until moistened (about 30 seconds). BEAT at medium speed for 2 minutes. Divide batter in half. Place in bowls. Add in food coloring to each bowl of batter to reach your desired color. 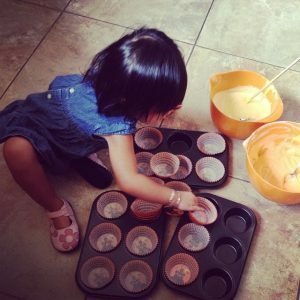 Fill cupcake pan with cupcake liners. 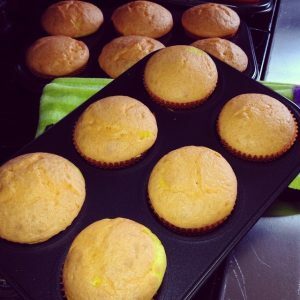 Add one tablespoon of orange batter to muffin liner, then top with one tablespoon of yellow batter. BAKE for 20 minutes or when cupcakes are done when toothpick inserted in center comes out clean. COOL in pan on wire rack for 15 minutes. Cool completely before frosting. Whip together cream cheese, butter and clear vanilla in large bowl with mixer until well blended. ADD powdered sugar one cup at a time. Beat on high after each cup.